Business owners and entrepreneurs have many things to consider when opening a business. From selecting a name and deciding on a location, to advertising and hiring the best employees, the to-do list can seem never ending. After investing significant time and money into your business, you will want to know that your investment is protected. You’ve likely considered and purchased insurance to protect your physical property, but what about your intellectual property? In order to protect your brand, be sure to include this critical step: register your trademark. A trademark is anything that represents your business, including a business name, slogan, or logo. Even your signature color scheme or smell can be registered. Your trademark should differentiate your business from competitors and make you memorable to your potential customers. You’ll also be protected from infringement and have the right to take legal action against anyone using your mark unlawfully. You’ll have peace of mind, knowing that your trademark, and your brand, are protected and in your control. Consider these five important reasons to register your trademark. The first step to registering a federal trademark is completing a comprehensive trademark search. This search will determine if any business with a confusingly similar mark has registered with the United States Patent and Trademark Office, or USPTO. If you discover that your mark may, in fact, infringe on another business, it is best to learn this before you invest additional money in branding your business or purchasing items with your desired mark on them. 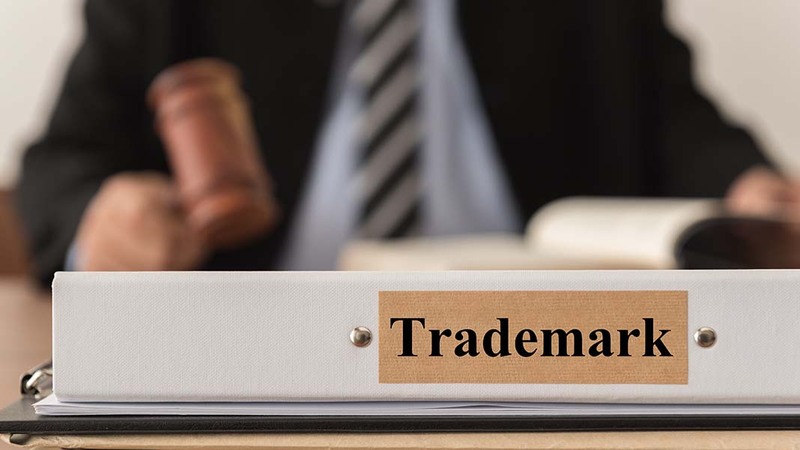 If you choose to plan and open your business without completing a comprehensive trademark search, you may incur much larger costs to rebrand your business if it is discovered that you are infringing on an existing registered trademark. Not only will a registered trademark ensure that you aren’t infringing on another business, but it deters others from infringing on your business as well. The date you file your application with the USPTO becomes your priority date, meaning that anyone that wishes to file a similar mark after this date will not legally be able to register their trademark. As a trademark owner, you will also have legal ground to take action against anyone that may infringe on your mark in the future. Many valuable protections are only granted to those with federally registered trademarks. With so many potential customers turning to an online search engine to find goods or services, a trademark can help you stand out in a crowded market. Someone seeking professional landscape services, for instance, may find several options in the area with a quick online search. A business with a registered trademark, however, would stand out from the crowd. With a memorable trademark, your customers will be able to cut through the clutter of your industry to locate you initially, and they’ll easily be able to find your website and social media platforms through a search of your brand. Because your online presence is essential to your success, it is important to know that you have online rights to your mark as well. The Anti-Cybersquatting Consumer Protection Act, for instance, was put in place to protect trademark owners in many domain name disputes. If someone purchases your trademark’s domain name with the ill intent to later sell it to you at a much higher price, you would have legal grounds to take action against the cybersquatter. A person doing business without a registered trademark may not have the same rights to take action. In the United States, trademark rights are also given to businesses who just “use” a trademark but do not register it. Because of this, a business without a registered trademark may have common law rights to the mark. With that said, these rights will also only apply to the small geographic region where the business is located. This could impact a business’s ability to grow and expand into other markets, where a similar mark is already being used. Fortunately, a federally registered trademark has nationwide validity. As a trademark owner, you are protected from infringement in all fifty states, not just your region. You are free to grow and expand your business nationally without the fear of infringing on another business. In addition, once your mark has been registered with the USPTO, you are able to use the ® symbol, which, to many customers, implies an additional level of legitimacy and professionalism, building on the solid reputation that you’ve worked hard to create, in your area and across the country. As a business owner, you’ve likely made many purchases, from inventory to technology. While those things may be necessary to the function of your business, they probably won’t appreciate over time. A registered trademark, however, is one of the few purchases you’ll make as a business owner that will actually increase in value over time. As your business grows, so will the value of your trademark. If you are just beginning your business, you may not have selling on your mind. In the future, however, it may be helpful to know that a trademark can be sold with a business, just as any other asset. In fact, a registered trademark may greatly affect the value of your business overall. Buyers often place a higher value on the peace of mind that comes with a registered trademark, knowing that protections against infringement have already been set in place. Likewise, the goodwill that has been developed with customers over time cannot be confused with a similar mark from another business. It is understandable that most business owners are budget conscious, especially as they plan to open their business. Because of this, it’s common for many to think that they can’t afford to register their trademark. In many cases, however, you can’t afford not to register your mark. While the initial cost may be more than you’d like to part with in the early stages of your business, it pales in comparison to the costs associated with fighting an infringement lawsuit or rebranding your business to avoid a lawsuit all together. In addition to the relatively low initial expense, the costs to keep your trademark are quite small. The great news is, your trademark won’t expire as long as you continue to offer the goods or services associated with it. You’ll only be asked to renew your trademark every 5-10 years. The value of a registered trademark begins with a federal trademark filing and continues indefinitely, as long as you continue to offer your goods or services. For a small initial investment, you’ll gain protection and control of your brand. Your potential customers will appreciate the validity that comes with a registered trademark, and the ease with which they can locate you online and in social media. You’ll also have the ability to grow and expand into different regions without the fear of infringing on an existing business in the area. Begin the process to register your trademark and protect your brand today! 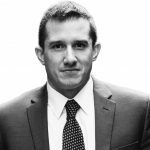 Founder of U.S. based Gerben Law Firm, PLLC, Josh Gerben is a trademark attorney whose trademark law firm has secured over 4,000 trademarks for clients since 2008; providing company name trademarks to ensure the proper protection. Josh Gerben has been featured in a variety of national news outlets including FOX News, NPR, Huffington Post and The Wall Street Journal.